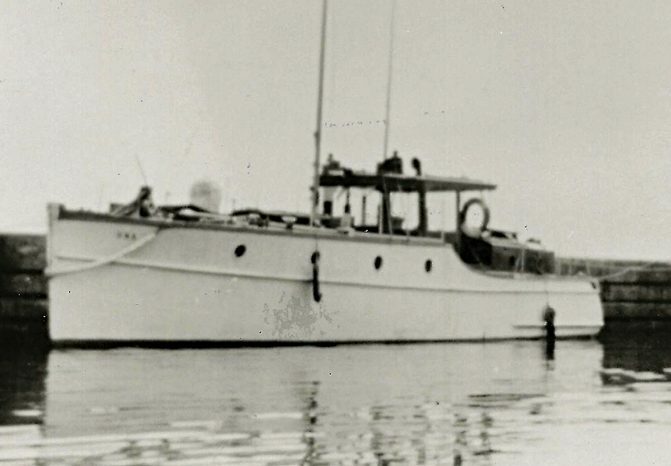 Ona II, a twin-cabin motor cruiser built in 1931, helped evacuate British troops from the shores of France early in World War II, averting a devastating Allied loss. On May 27, 1940, a department of the British Ministry of the merchant navy began calling the boatyards located along the River Thames and coasts of England to enlist all yachts and craft with shallow draft. In the course of a few days, more than 700 small craft and 200 large ships sailed off Ramsgate to rescue more than 330,000 soldiers and officers from the French coast and bring them safely back to England. Winston Churchill called it “a miracle.” Ona II bravely carried out her duty by making several crossings. Ona II was built in 1931 by Staniland & Co. at Thorne in Yorkshire, near the River Ouse, which flows down to the Humber. Thorne was a traditional place for boatbuilding. Staniland & Co. was known for its wellbuilt “gentleman’s motor cruisers,” which had previously been marketed as Hyland Cruisers. Charles Hyland was a reputable engineer and boat designer established in 1923 as Hyland Limited of Wakefield; his logo and motto was “full speed ahead.” It is probable but not doc­umented specifically that Ona II was designed by Charles Hyland, as Hyland provided design and construction drawings to Stani­land & Co. for a full range of yachts from 36‘ to 42‘ (11m to 12.8m) from the end of the 1920s to the mid-’30s. Ona II’s construction is 1″ (25mm) pitch pine planking on oak frames with oak keel, floors, and deckbeams. 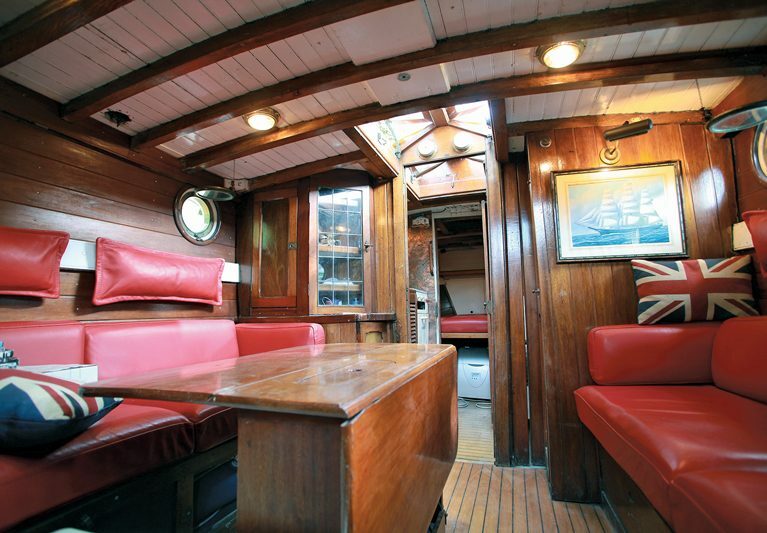 The margin planks, bulkheads, chart table, and interior woodwork are mahogany. In 1984 Dennis Hersign found Ona II almost abandoned on the River Thames. He acquired the boat and started a difficult restoration, obtaining official recognition of it as a Dunkirk Little Ship. The twin-cabin motor cruiser changed hands several times after that: first to an English couple, who crossed the Channel to moor her on the northwest coast of France; and next to Sylvie and Nicolas Beytout, who in 1995 undertook another restoration. Currently she is owned by Francis Fainac, who acquired her in 2005. Living in Villennes-sur-Seine in a house with the boat moored in front of his windows, Fainac wants every detail to be as perfect as possible, having the boat ready to leave for summer cruises and completely protected under cover during the winter season. He even located descendants of the original owner, Herbert Payne. Before the war, the boat was kept at Ramsgate in southeast England, where the Payne family spent vacations aboard. 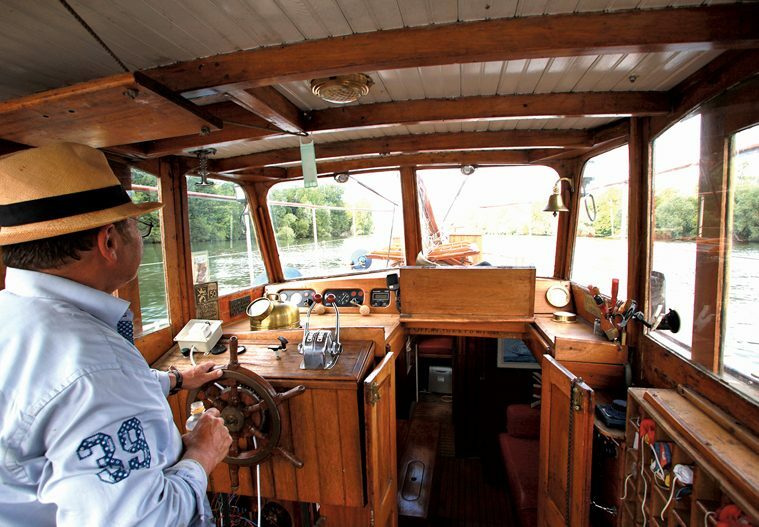 The current owner, Francis Fainac, keeps the historic boat at his house on Villennes-sur-Seine. In 2015 he participated in the 75th anniversary of Operation Dynamo in Dunkirk. 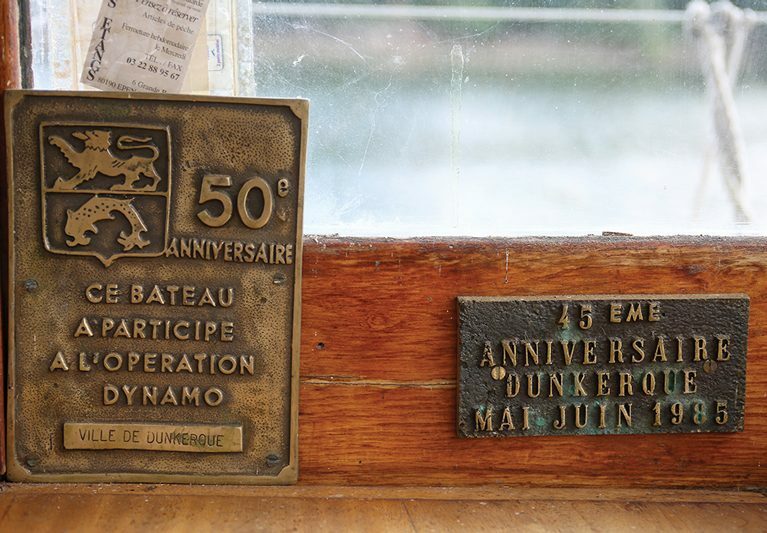 Displayed on board are official plaques attesting to participation in the several anniversary events of the evacuation. When upgrading, successive owners took pride in restoring and protecting as much original equipment as possible. The last major restoration was in 1996–97 at the Evans boatyard in Migennes, France. 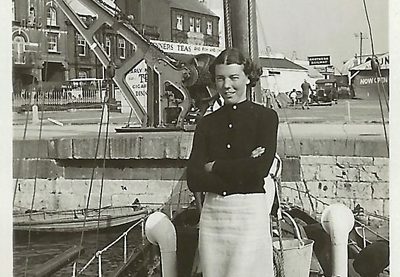 Margaret, sister of Winnifred Payne, the wife of Ona II’s original owner, poses on a boat in Ramsgate in summer 1939. Major restoration work, conducted in 1996–97 at Evans Marine boatyard, Migennes, Burgundy, France, included removing all mechanical parts and hardware, electrical wiring, and fittings, and stripping all paint and varnish. Damaged or weak frames were doubled in oak, sawn, screwed, and glued in position. The same was done on damaged or weak planks, replaced by new pitch pine planks to match the original. The whole hull was then coated with WEST System epoxy. Before the boat was reassembled, rotten, damaged, or obsolete parts were repaired or replaced. Ona II is powered by two Perkins Piranha diesel engines, providing a cruising speed of 7.8 knots. Surveyed in 2016, she was determined to be in excellent general condition, unsurprisingly, as she lies in front of the owner’s home, and he keeps an eye on her year round.